Yesterday, Rockstar Games unleashed its third trailer for Red Dead Redemption 2, which was, of course, packed to the brim with dramatic moments and gorgeous visuals. What the trailer didn’t really show, was how RDR2 will actually play. Thankfully, IGN got to tackle a 45-minute demo of the game, and have revealed a bevvy of new details. You can check out a discussion of RDR2’s new features below, or scroll on down for a recap of the key points. 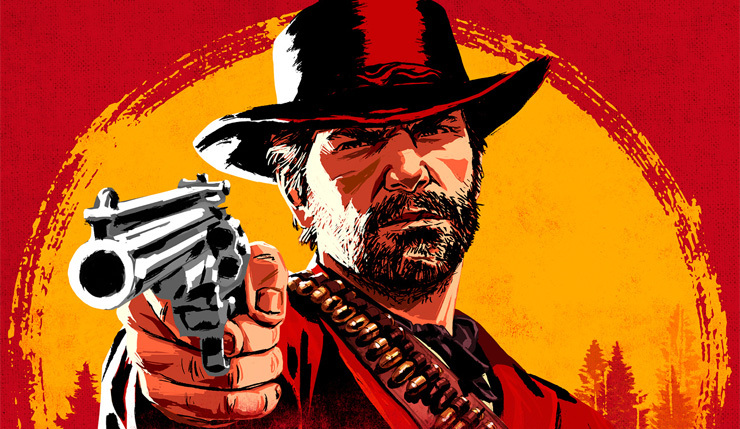 Red Dead Redemption 2 protagonist Arthur Morgan isn’t a lone gun like John Marston – he’s a senior member of Van der Linde gang, which alters the Red Dead experience in significant ways. In RDR2, you’ll have a home base populated by various colorful gang members, and it’s up to you to keep them happy. You’ll have to provide the camp with food and supplies, and if you don’t, your ne’er-do-well buddies will get cranky. The camp will also move as the story progresses and you explore new areas. Don’t worry though, RDR2 isn’t a gang management sim – the camp will continue to operate without you, although, presumably, there are bonuses for taking care of it well. Red Dead Redemption 2 will, of course, be populated by a varied assortment of colorful characters and scoundrels whose reactions to you will change depending on context. The game has your typical RPG-style interaction system that lets you respond to people in multiple ways, and little details, like whether or not you keep your gun holstered, can have a major impact. IGN doesn’t specifically mention it, but it seems likely the Honor morality system is returning. As in the first game, Red Dead Redemption 2 will put a heavy emphasis on hunting, although this time there are a few new tweaks. Your quarry will be worth more if you kill it cleanly, and will decay over time if not preserved. Horses will also continue to be a big focus, with bonding now being emphasized. Building a bond with your favorite pony will make them more trustworthy in a firefight and able to hear your whistle from further away, but beware – if your horse dies, it’s gone permanently, so take care of it. As for the RDR2’s action scenes, they sound like they haven’t changed all that much, with the Dead Eye bullet time system returning. IGN describes a fairly typical bank heist scenario, that ends in Arthur’s posse outrunning a train to escape the law. Probably the most interesting (and amusing) new detail, is that you can now lose your hat in the midst of the action, and it will stay lost unless you go back to retrieve it. Now that’s attention to detail! Overall, it sounds like Red Dead Redemption 2 is definitely following in its predecessor’s footsteps, albeit with a myriad of new tweaks and improvements. The game may not break the mold, but then, it doesn’t really have to, does it? I definitely recommend checking out IGN’s full preview, as it contains more detail than we can cover here. Red Dead Redemption 2 gallops on Xbox One and PS4 on October 26.